Kayako sets the standard for live help, ticket processing, real time visitor monitoring and overall support desk management with three expandable core modules, SupportSuite, eSupport and LiveResponse, creating a complete support solution for any website. Supporting these modules Kayako offers email and ticket management with desktop alerts, public and private task lists, an administrative side calendar to keep you on track, content publishing that includes self help resources and a knowledgebase that can be set for automatic detection when a customer submits a ticket, pre-defined auto responses and news publishing options, with the ability to include your current news within email tickets, staff-to-staff conferencing, different templates for different departments and much more. 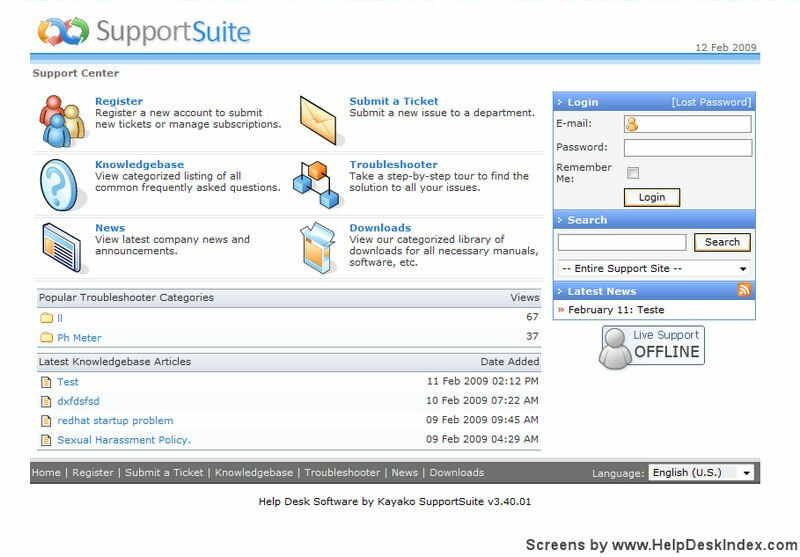 The SupportSuite offers everything that you need to incorporate an outstanding ticket support system with live chat and visitor monitoring abilities that will seamlessly integrate into your website with little effort and minimal cost, starting at $39.95 per month/leased or $499.95/purchased. This intuitive support system will allow you to manage your support tickets from multiple sources with one system. This is a very intuitive, user-friendly program, both from the front and the backend. Customers will find it easy to navigate when submitting help tickets, searching your knowledge base, following along with troubleshooting guidelines and contacting your live help. Your representatives will find that its straightforward interface makes real time visitor monitoring, ticket and email management, knowledgebase creation and administration and news publishing all quick and convenient. They will also find its calendar, contact and task integration sharing indispensable. 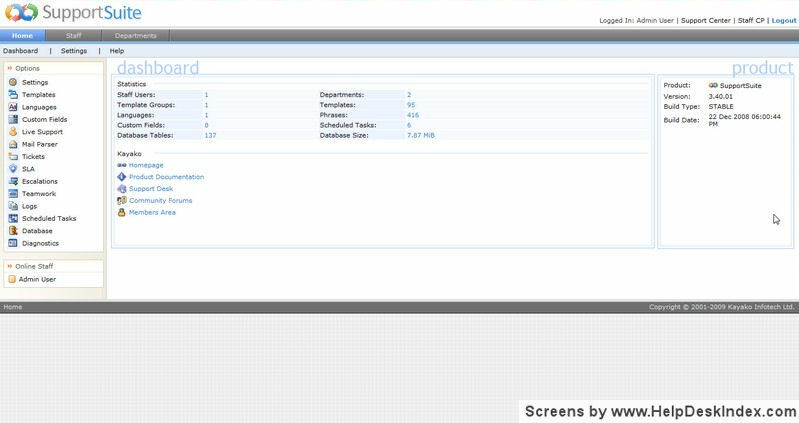 The eSupport module is a scaled down version of the SupportSuite. Minus the live help and visitor monitoring, the eSupport leases for $29.95/month and sells for $299.95. The eSupport is more economical than the Support Suite, while still offering the most popular features. Optionally, the LiveResponse provides all of the features included in the SupportSuite module with the exception of support tickets, email system and desktop alerts. With this module, you basically receive the live chat, visitor monitoring, knowledge base, task and content management and new creation features. The LiveResponse module is $39.95/monthly and $299.95/purchase. While Kayako is not the lowest priced support ticket and knowledge base software available on the market, it is one of the best bargains for its price. It offers more practical features and is more customizable with easier, seamless integration for an existing website. Despite the ease of incorporating Kayako's software into your own site, customization, with regard to skin and theme colors does not appear to be an option this program. Kayako offers a 30 free trial of the product before purchasing.